Alibaba Group Holding Ltd (NYSE:BABA) stock has gained more than 2.5% in morning trading following the news that the Chinese e-commerce giant has decided to pour 28 billion yuan or $4.63 billion into the Chinese electronics retailer Suning Commerce Group Ltd. Through this investment Alibaba Group Holding Ltd (NYSE:BABA) will have a 20% stake in the company. In return, Suning Commerce Group Ltd. will invest 14 billion yuan or $2.32 billion of its own into Alibaba’s stock, to acquire nearly a 1.1% stake in the e-commerce giant. Through this partnership, Suning will be able to sell its electronics, home appliances and baby products in Alibaba’s T-mall.com platform. The companies will look for further opportunities to sell Suning’s products from its 1,600 stores through Alibaba’s platform and its affiliated services. The $4.63 billion investment by Alibaba Group Holding Ltd (NYSE:BABA) comes in the wake of many other investments by the company in industries like food delivery, movie ticket sales, and ride sharing services. This clearly indicates the company’s intent to spend big on brick and mortar retailing in an attempt to gain access to more Chinese smartphone users. Not only Alibaba Group Holding Ltd (NYSE:BABA), but other competitors like Tencent Holding Ltd and Baidu Inc. have made attempts to get into online-to-offline services in China. The number of mobile internet users in China increased by 56 million year-over-year to 557 million in 2014, which represents 86% of the total internet users in China. Alibaba currently has access to nearly 80% of this market. Due to this migration of the masses into online shopping impacting the sales of offline retailers, they have started to look for alternatives to compete in the new online market, by forming partnerships with established online sellers. Let’s first take a step back and analyze how tracking hedge funds can help an everyday investor. Through our research, we discovered that a portfolio of the 15 most popular small-cap picks of hedge funds beat the S&P 500 Total Return Index by nearly a percentage point per month on average between 1999 and 2012. On the other hand, the most popular large-cap picks of hedge funds underperformed the same index by seven basis points per month during the same period. This is likely a surprise to many investors, who think of small-caps as risky, unpredictable stocks and put more faith in large-cap stocks. In forward tests since August 2012, these top small-cap stocks beat the market by an impressive 66 percentage points, returning over 123% (read the details here). Hence, a retail investor needs to isolate himself from the herd and take advantage of the best growth opportunities in the market by concentrating on small-cap stocks. Alibaba Group Holding Ltd (NYSE:BABA)’s stock dropped by nearly 5% on July 7 as optimism about the Chinese Government’s support to get Chinese stocks back on track faded away. 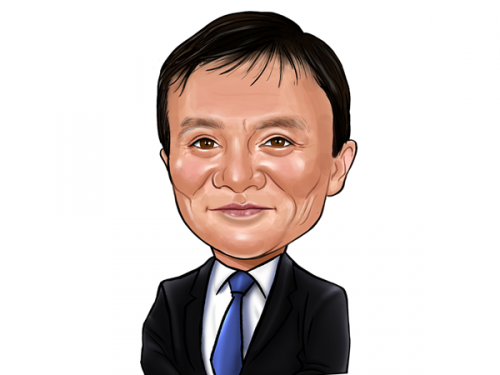 Year-to-date Alibaba Group Holding Ltd (NYSE:BABA)’s stock has lost nearly 25% of its value. Soon after Alibaba’s much-hyped IPO in September, the stock soared as high as $120 per share in November, giving it a huge gain from its IPO price. But since that high in November, it has been a consistent decline for the stock, as it had lost more than 40% of its value. Alibaba Group Holding Ltd (NYSE:BABA)’s stock also depreciated by 20% during the January – March period. 86 hedge funds among those we track had holdings in the stock worth $5.8 billion at the end of March, 18% lower than the value held by 90 hedge funds at the end of December. Only 2.8% of the shares of Alibaba were held by the hedge funds we track, which shows that the top investors in the world weren’t overly bullish on the stock.